His owner wanted to put him down — but people saw how special he was. 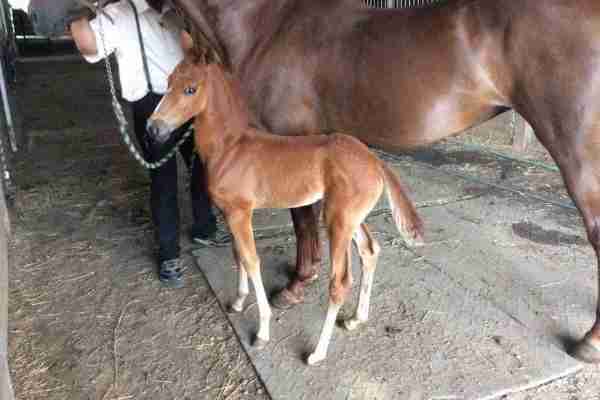 The colt was only hours old, but he was going to be put down. He'd been born without the bottom three bones in his leg, and the fourth bone wasn't fully formed. 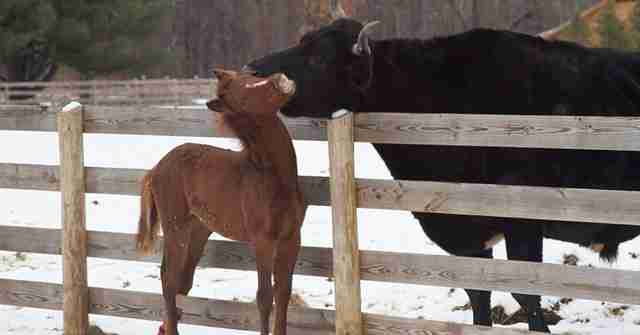 The Amish farmer who owned the baby horse knew he wouldn't be able to pull a buggy when he got older, so he had no use for him. 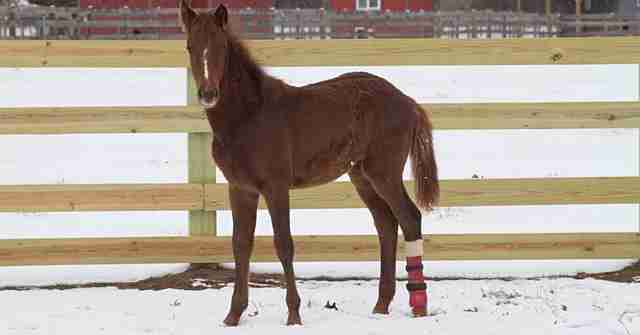 The colt - later named Trident - might have been born without leg bones, but he was born at the right place and at the right time. A midwife named Tuesday Lach was doing a health check on a woman at the Indiana farm when she heard about Trident and the farmer's plans to euthanize him. 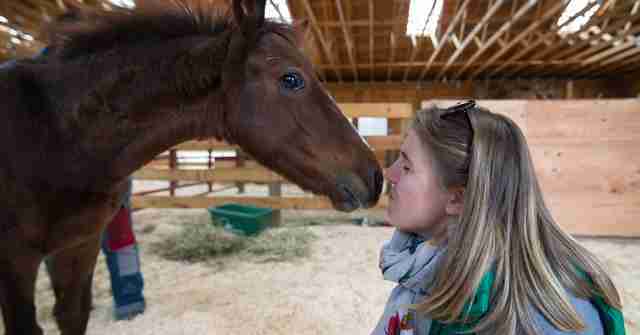 Lach's sister, Dawnell Kilbourne, is an animal caretaker at Woodstock Farm Animal Sanctuary in New York. Tuesday contacted Kilbourne to discuss what they could do for Trident. Then the sisters reached out to Ronnie Graves of Veterinary Inclusive Prosthetics and Orthotics to see if Trident would be a good candidate for prosthetics. Graves was located in Florida, but he travelled all the way to Indiana to take a cast of Trident's leg. Then, back in Florida, Graves fashioned Trident's first prosthetic and sent it to the farm. 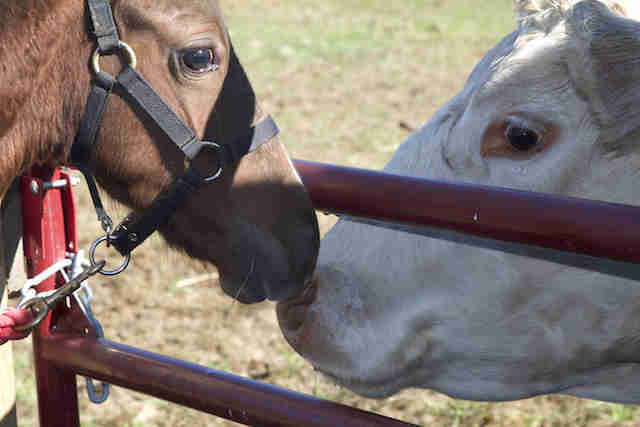 While Lach and Kilbourne helped Trident, they made arrangements with the Amish farmer to keep Trident at the farm until they found him another home. 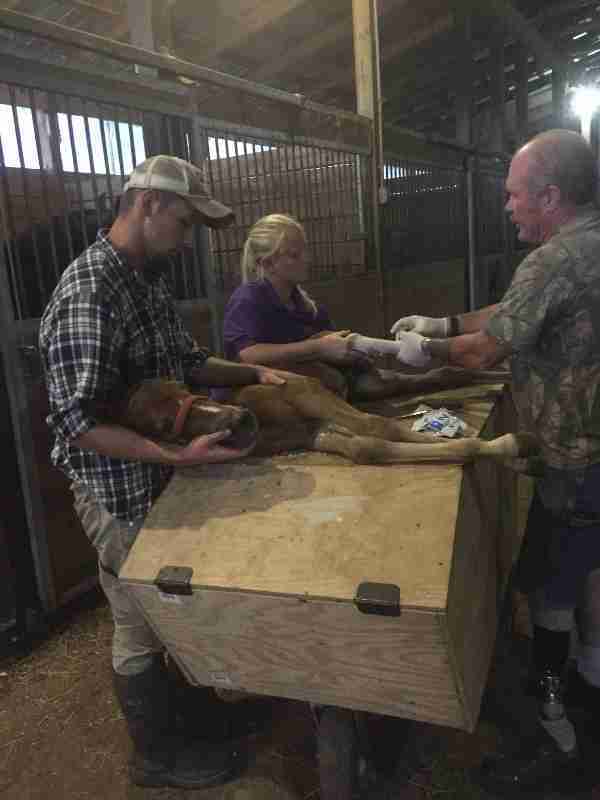 Kilbourne's niece, who lived near the farm in Indiana, started working with Trident to get him used to his new prosthetic. But when the school year started a few weeks later, Kilbourne's niece could no longer work with Trident. 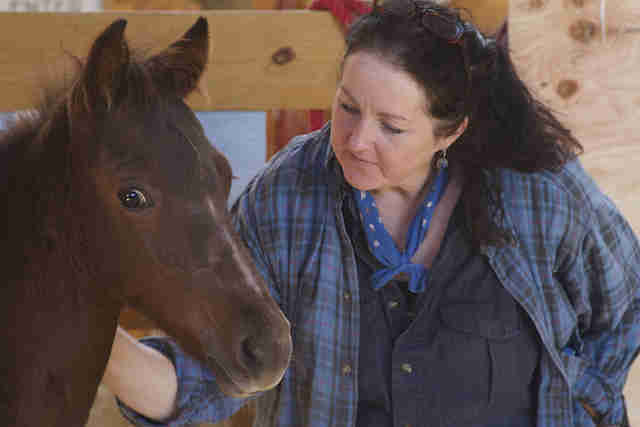 Kilbourne and her sister tried to find a local horse rescue group that would take Trident, but they didn't have any luck. If they left Trident with the Amish farmer, he'd be put down, especially after the farmer realized how much time, money and attention Trident would require. Hearing this, Kilbourne and Kathy Keefe, the director of Woodstock Farm Animal Sanctuary, decided to drive 12 and a half hours to rescue Trident and bring him back to the sanctuary. Trident would be the first horse at Woodstock, joining a crew of goats, pigs, rabbits, cows, ducks, sheep, turkeys and cats. Besides his deformed leg, Trident had other issues. "Trident was weaned from his mother at 3 months old, which is too young," Keefe told The Dodo. 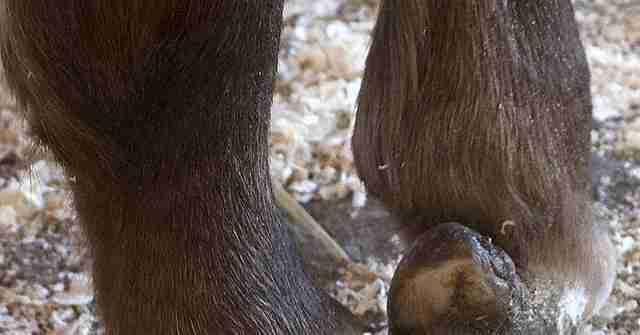 "His feet had not been taken care of ... His hooves needed trimming very badly. 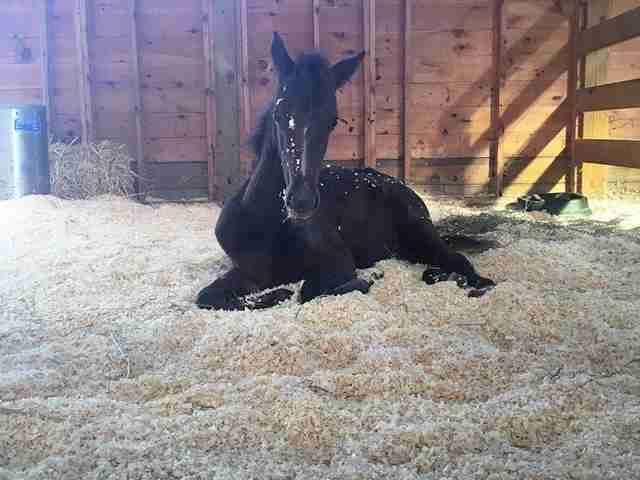 He was a little skittish but curious and came out of the stall with me without a problem." Trident was a good traveler on the long journey to New York, and has adapted well to life at the sanctuary, as well as his new leg. "He loves spending time outside, and you'll often see him prancing and running around with his prosthetic," Keefe said. 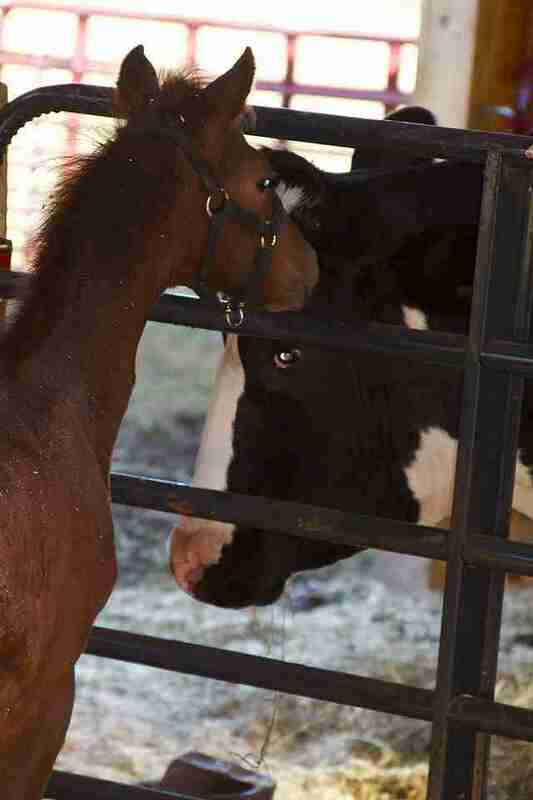 Trident might be the only horse at the sanctuary, but he's also making lots of friends. "Trident loves all of the cows!" Keefe said. "His neighbors at the moment are Ralphie, Dylan, Maybelle and Kayli. 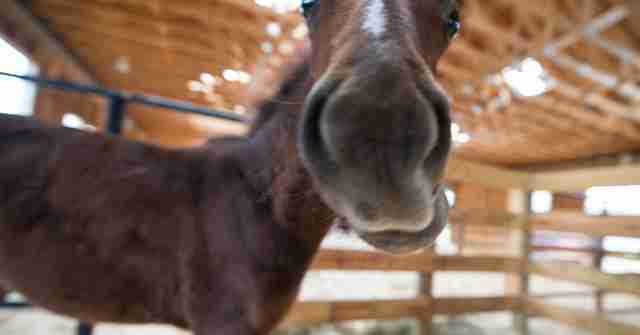 Trident is very curious and will stick his face through the fence to check everybody out." Once Trident gets more accustomed to his brace, the Woodstock crew plans on rescuing another horse to give Trident a friend. "Trident will be able to live a full life now that he has found sanctuary with us," Keefe said. "He will always be a special-needs horse, but we will continue to fit him for new prosthetics as he continues to grow and gets older." 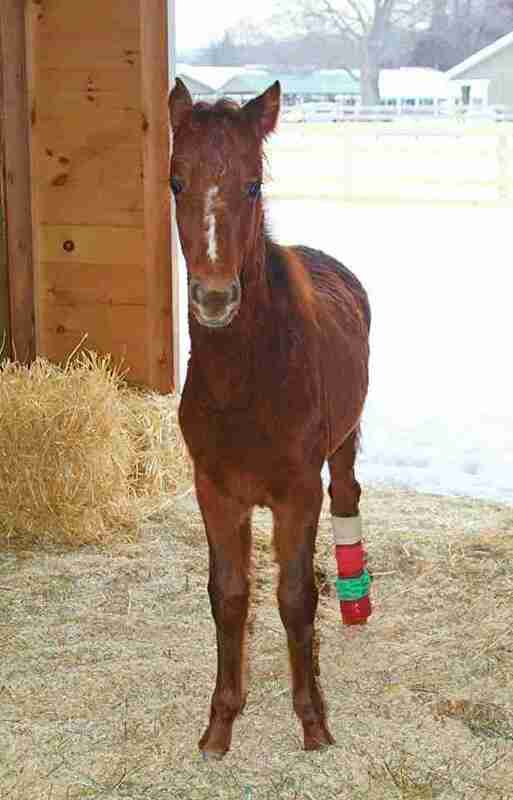 The vets at Rhinebeck Equine Hospital continue to work with Trident, and they're amazed to see how well Trident is doing with his new leg. 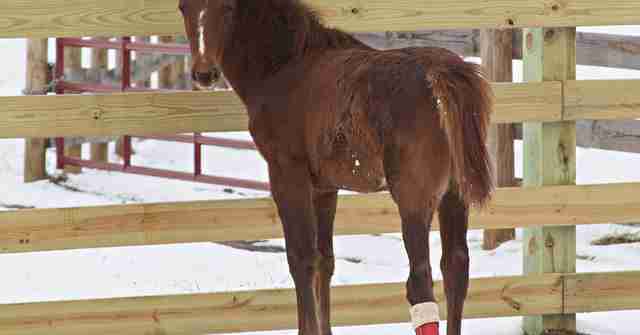 "They never see his type of case as most horses in his condition would have been put down," Keefe said. "They were skeptical until they saw Ronnie's work and saw that Trident could have a real life at the sanctuary. They repeatedly tell us that they could not imagine a better place for Trident to be." To help pay for Trident's care, you can make a donation to Woodstock Farm Animal Sanctuary here.